Learn how TouchBistro POS for iPad helps these business owners manage their menu, schedule their staff and boost average check size by 20%. From a single food truck to five busy locations, Eva’s Original Chimneys proves that passion – plus the right technology – is what drives a quick serve restaurant to success. Before finding any level of success, before scouting the perfect location, before needing technology like a TouchBistro POS for iPad, every restaurateur’s journey starts with their “aha” moment. For Kristin and Justin Butler, that moment came on their honeymoon. They had sold everything they owned, stepped away from their careers, and set out to travel the world together for one year. Nearing the end of their travels, the couple was visiting family in Hungary, where Justin’s grandmother Eva was born and raised. Cousins took them to a nearby market in Budapest and pointed to Kürtoskalács (chimney cakes) – a sweet pastry rolled on a wooden cylinder and baked on an open rotisserie grill – insisting they try the traditional Hungarian treat. Kristin and Justin watched the finished cakes come off the wooden spindle, then placed standing up as steam rose out the top, just like a smoking chimney. With the smell of sugar caramelizing on the outside, they took their first bites. Crispy on the outside. Soft and fluffy on the inside. They were hooked. The couple still had five weeks of travel left, but the idea of taking this delicious treat back to Canada had already taken root. They spent the remaining weeks of their trip in internet cafes across Europe, researching how to make chimney cakes and where to get equipment. Thinking summer festivals would be the best place to start their business, Kristin and Justin started Eva’s Original Chimneys with a single food truck. But it wasn’t happily ever after just yet. The second challenge came in year two, when they decided to change the shape of the chimney cakes from a cylinder to a cone, adding options for ice cream and various toppings. But that required an ice cream machine inside a truck that didn’t have the power to support it. After the ice cream machine broke down a few times, they tried renting a separate, local ice cream truck, parking it behind their own truck. Customers would order at Eva’s, then take their ticket to the second truck to pick up the fully assembled ice cream cone. But three hours into service, the ice cream truck broke down. The long line of customers was disappointed, to say the least. Kristin and Justin eventually found an ice cream system that worked for the food truck, but the next challenge came with their point of sale (POS).  They had started their business with a POS with very basic functionality. Now that they had a more complex, customizable menu and growing demand from customers, Eva’s needed a POS upgrade. 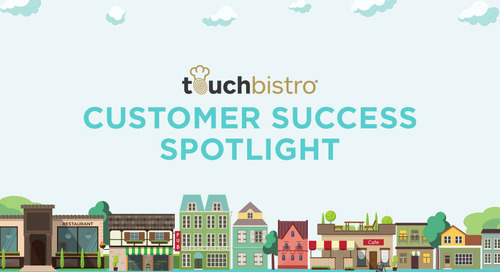 Kristin found TouchBistro and implemented the system in their food truck, later in their pop-up locations, and then finally in their permanent brick and mortar shops. She uses the reporting functions and 7shifts staffing integration to make decisions about labor. “The TouchBistro heat map can show us how busy we are, hour by hour, so we can figure out how many staff we need,” says Kristin. She also depends on TouchBistro’s menu modifications, which make it easier for cashiers to ring in a customized order. Customers can build a new chimney creation, choosing their own cone, spread, layer, and toppings. Or they can make substitutions and additions to creations already on the menu. The last item on Kristin’s wish list was to have a visually appealing POS, which was important for quick staff training. In just three years, Eva’s has grown to include five locations and two food trucks, all of which use TouchBistro. Kristin says one of the things she enjoys most is that she’s been able to expand the system as her business needs increased. Now the stores each have two cashiers on iPad (9.7-inch 5th Gen 32GB with wi-fi), plus two more: a baker KDS and an ice cream KDS. In addition to the stores, each food truck has one cashier iPad and one KDS iPad. As Eva’s continues to grow and fine tune their operations, they’re trusting that TouchBistro will continue to grow with them. Already, TouchBistro’s extensive reporting and analytics are helping them make more informed decisions about their business. “We track how much of each item we’re selling every day so we can do projections on what we need to bake for the following week,” says Kristin. She also uses the sales reports to see what’s selling the most and what’s selling the least, basing any menu changes on these numbers. A new promotional cone that consistently makes the dashboards’ top 10 bestsellers will get added to the regular menu. Then an item in the bottom 5% gets taken off. “With TouchBistro's cloud reporting, I can very easily analyze my business, and see what decisions I need to make to increase our sales,” Kristin says. In just a short few years, what started as one couple’s passion for a traditional food experience – with a twist – has grown to become a shared passion between all the staff and customers that step up to the counter. As for the future, Kristin says they’ve got their sights set on first optimizing existing operations and then expanding across Canada and the U.S., as well as internationally. They’ve also recently acquired former rival Chimney Stax Baking Co., which will be converted to Eva’s brand and recipes. And TouchBistro POS for iPad will be there to help with each of these new steps. From food truck to storefront to international locations, it’s tough to know if you’re ready for that next step. From the team to the technology to the tasty treat, it’s clear that Eva’s Original Chimneys has the recipe for success. 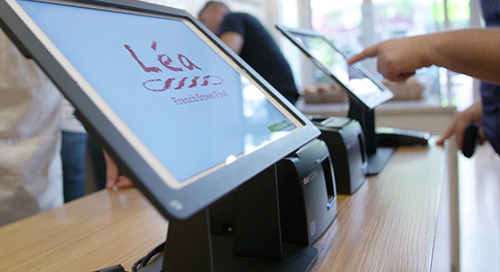 See how Lea's customer experience and bottom line transformed with TouchBistro Kiosk. 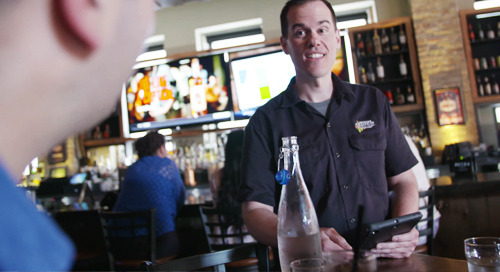 See how restaurants succeed with TouchBistro! 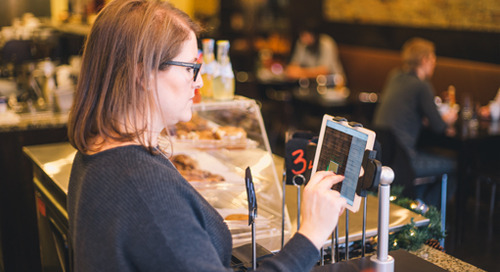 How TouchBistro helps a multi-location QSR thrive. Get the keys to Michelin-level success. See why Jimmy's Coffee loves TouchBistro loyalty. 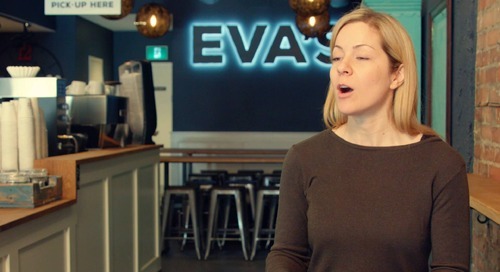 See how partnering with TouchBistro and 7shifts transformed Eva's business. See how TouchBistro and Cayan helped transform Gaijin's operational efficiencies. See how TouchBistro helped Nerai increase profitability and improve overall guest experience. 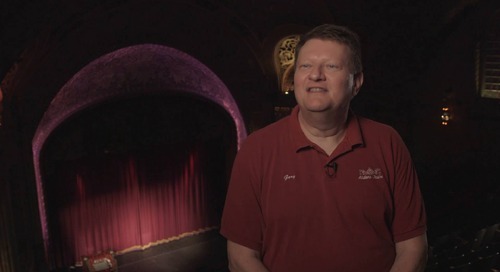 See how TouchBistro helps the Alabama Theatre efficiently serve 3,000+ patrons on any given night. Simon Coyler on the journey his food truck has taken. 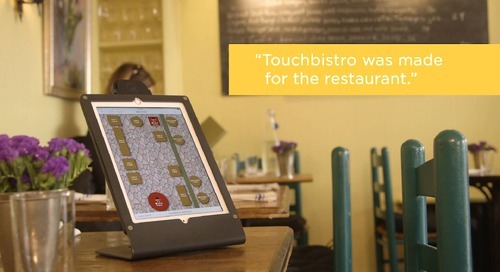 See how TouchBistro helps Table d’Hote save time and improve customer service. See how TouchBistro helped decrease this NYC bar's pour cost by 22% in 6 months.